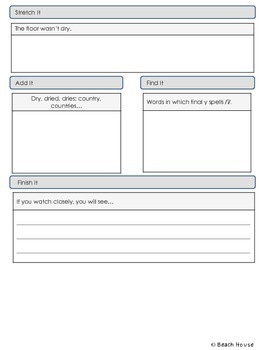 This packet includes 13 three-page reproducibles designed to accompany the 4th grade Sitton Spelling program. 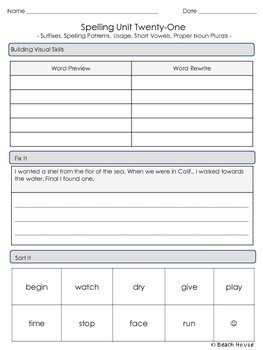 The first two pages of this three-page template include the six exercise express activities: word preview, stretch it, fix it, sort it, add it, finish it, and find it. 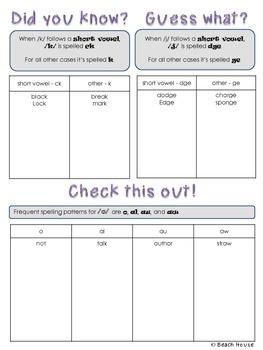 The third page includes three spelling pattern rules and activities. 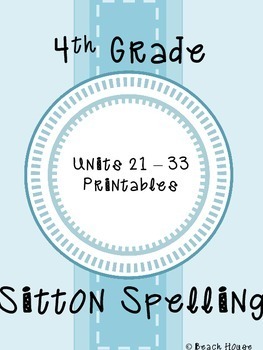 You will find one three-page template for units 21 through 33 in the Sitton Spelling program.